Below you fill find all funeral homes and cemeteries in or near Clemson. Suburbs of Clemson: Clemson University. Clemson is also known as: Tigertown. Zip codes in the city: 29631, 29632, 29633, 29634. Pickens County funeral flowers can be purchased from one of the local funeral shops we partner with. Some of the notable people born here have been: Jarvis Jenkins (american football player), and DeAngelo Willingham (american football player). Clemson is home to the following sports teams: Clemson Tigers men's basketball. 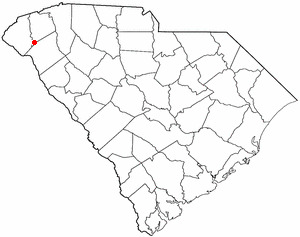 Clemson is a city in Pickens and Anderson counties in the U.S. state of South Carolina. 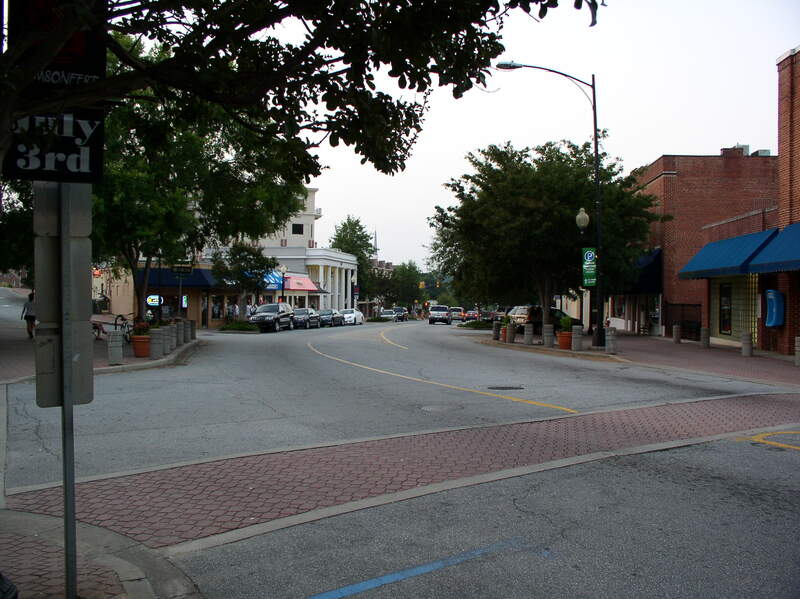 It is a college town, home of the Clemson University campus. The population of the city was 13,905 at the 2010 census.Clemson is part of the Greenville-Spartanburg-Anderson, South Carolina Combined Statistical Area. Most of the city is in Pickens County, which is part of the Greenville-Mauldin-Easley Metropolitan Statistical Area. A small portion is in Anderson County, which is part of the Anderson Metropolitan Statistical Area. It was revealed on March 18th, 2018 that Joseph A Hart perished in Clemson, South Carolina. Hart was 84 years old and was born in Cleveland, OH. Send flowers to express your sympathy and honor Joseph A's life. It was disclosed on April 22nd, 2017 that Robert Leon "Bob" Reed died in Clemson, South Carolina. Reed was 67 years old. Send flowers to share your condolences and honor Robert Leon "Bob"'s life. It was written on February 22nd, 2015 that Dorothea Ann Dowler (Drane) passed on in Clemson, South Carolina. Ms. Dowler was 79 years old and was born in Columbia, MO. Send flowers to share your condolences and honor Dorothea Ann's life. It was reported on September 11th, 2014 that Mary C Gregory (Cothran) perished in Clemson, South Carolina. Ms. Gregory was 98 years old. Send flowers to express your sympathy and honor Mary C's life. It was reported on February 25th, 2014 that Donna Sue Haisty (Honnicutt) passed on in Clemson, South Carolina. Send flowers to express your sympathy and honor Donna Sue's life. It was revealed on February 5th, 2014 that Donna Sue Hasity (Hunnicutt) passed on in Clemson, South Carolina. Ms. Hasity was 94 years old and was born in Cotton Plant, AR. Send flowers to express your sorrow and honor Donna Sue's life. It was noted on January 4th, 2013 that Thomas Clarence Jr "Buck" Breazeale passed away in Clemson, South Carolina. Breazeale was 92 years old. Send flowers to share your condolences and honor Thomas Clarence Jr "Buck"'s life. It was noted by Knoxville News-Sentinel on April 13th, 2012 that James E Paulus passed on in Knoxville, Tennessee. Paulus was 79 years old and was born in Clemson, SC. Send flowers to share your condolences and honor James E's life. It was written by Knoxville News-Sentinel on April 1st, 2012 that Mary Louise Allen-Hough (Allen) perished in Knoxville, Tennessee. Ms. Allen-Hough was 57 years old and was born in Clemson, SC. Send flowers to express your sorrow and honor Mary Louise's life. It was disclosed on November 28th, 2006 that Joanne Marie Asselin perished in Clemson, South Carolina. Send flowers to share your condolences and honor Joanne Marie's life. The population was 11,939 at the 2000 census and center of an urban cluster with a total population of 42,199. It is best known as the home of Clemson University. Clemson is a city in Anderson County, South Carolina and Pickens County, South Carolina counties in the US state of South Carolina. The town of Calhoun that bordered the campus was renamed Clemson in 1943. . The official website for the city of Clemson is https://www.cityofclemson.org/(X(1)S(3embnn04nnybjcmjwqbwxd2a))/Default.aspx?AspxAutoDetectCookieSupport=1. Clemson, South Carolina funerals: A free and helpful guide to Clemson SC funeral homes and funeral services. Funerals in Clemson, SC on Yahoo! Local Get Ratings & Reviews on Funerals with Photos, Maps, Driving Directions and more. Listing all funeral homes in Clemson, South Carolina so you can easily send flowers to any location (same day delivery) or find any funeral service. Clemson Funeral planning made easy! Learn how to pre-plan your funeral in Clemson, South Carolina, including step-by-step directions. We work with local florists and flower shops to offer same day delivery. You will find budget sympathy flowers in Clemson here. Our funeral flowers are cheap in price but not in value.